Originally designed as an inshore lifeboat, this is a soldi example of the design, with the modified high powered single outboard. Accommodation for 2 in the enclosed cabin, with sink and water. Good electronics fit, with radar, DSC radios and Navtex. 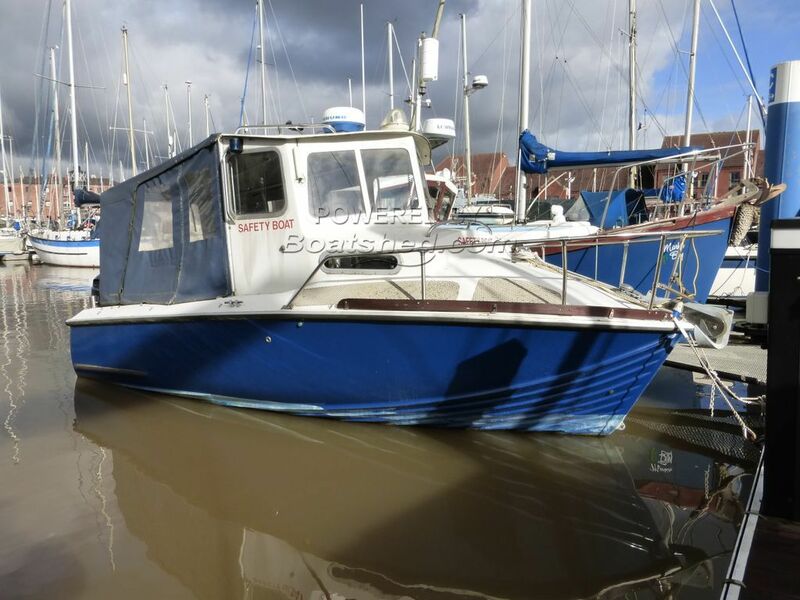 This McLaughlin 18 Safety Boat has been personally photographed and viewed by Paul Watson of Boatshed Yorkshire. Click here for contact details.